Plan, organize and manage all functions of the Planning & Zoning Dept.  Project coordinator for construction of gateway sign entering Main Street district;including design consensus building, easement acquisition, budgeting and quality control.  Recruited an established restaurant group to occupy vacant downtown building owned by DDA. 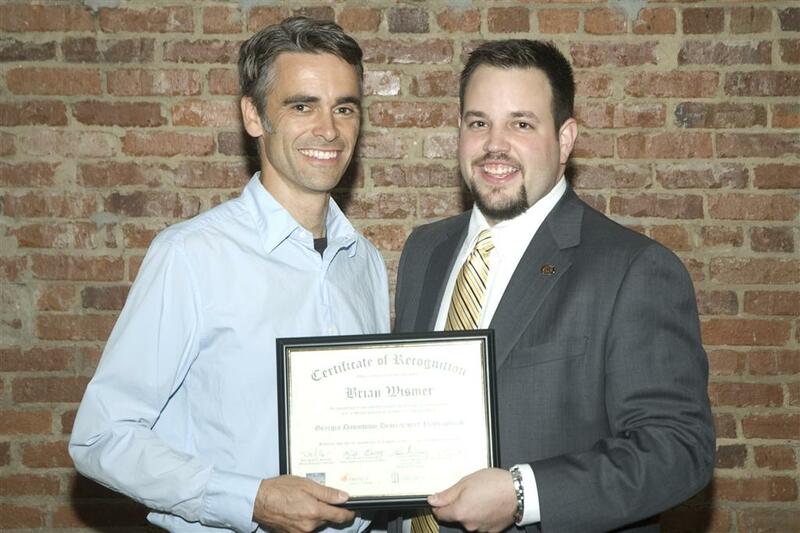 Brian Wismer (left) receives Ga. Downtown Development Professional certificate from Ga. Downtown Association President, Billy Peppers. Photo/Special.